It was the last of three two-mile intervals, and I had one lap left. It was the point in a hard workout when the pain stops burning the legs and lungs and becomes a thick cloud of smoke behind the eyes. I saw my high school track coach standing on the side. “What’s the time?" I asked as I ran by. He glanced at the stopwatch hanging around his neck and shouted after me, “Too slow, if you have breath left to ask!" I sprinted away. I loved the guy. He cared for us as if we were Olympic hopefuls. I clearly was not one. In fact, I was utterly untalented. (“Make sure you work as hard on your education" is another of my coach’s memorable utterances.) But the lessons about working through pain that I learned back on that cement track served me well in life. I still run, slowly, and I understand why many executives tell me that they find inspiration in elite endurance athletes. They are people who share the obsession with performance, and acceptance of self-punishment that one finds in many businesses. I thought about those corporate athletes while reading the recent exchange between a concerned Arianna Huffington and an exhausted Elon Musk. She warned him about going too fast. He replied that he could not slow down, and spoke to the New York Times about a year of “excruciating" pain. Was he losing it, or was he just being unusually honest? The public display of concern and defiance in Huffington and Musk’s exchange resembled a debate that plays out daily in many offices—and minds. Many people I know, to put it bluntly, feel as if they have to choose between their body and their work. This is even truer for artists, scientists, entrepreneurs—“makers," as we call them—and for senior leaders. They sense that their creations might survive them and benefit others, and work themselves to death for immortality of sorts. The constant pressure, the long working hours, the frequent flying, the endless stream of email are all part of staying on top of the job. Is it worth it? they’ll ask. Some days it’s hard to tell. But it feels foolish to give up. Could you afford it? What would people think? What would happen after? Things may improve if you just, well, worked a little harder. I have not just observed this pattern in my work. I have lived through it. I know that the idea that it’s worth suffering if the work is good, or even that one must suffer for the work to be good, has its truth and appeal. There is a word for that. It’s “sacrifice." I learned that distinction from endurance sports, too. 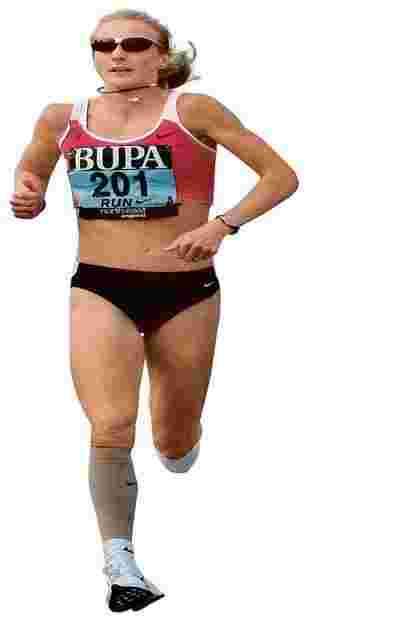 In a fascinating book on the limits of human performance, Alex Hutchinson quotes the coach of marathon world record holder Paula Radcliffe on what made her such an exceptional long-distance runner: “Her capacity to hurt herself was unprecedented." Great performers, Hutchinson shows, are able to cross pain thresholds most of us wouldn’t go near and keep going. They hurt as much as everyone else, but they treat pain as a friend. To them, pain is not a result of habits, circumstances, or impositions. It is a choice. When Musk said that the worst is over for Tesla, “but from a personal pain standpoint, the worst is yet to come," he sounded just like a marathoner talking about the last miles. He would have to endure it. In such circumstances, I have heard executives say that they draw inspiration from elite athletes. Those athletes don’t complain about hard work, they tell me. They embrace it, and if anything, they worry about not working hard enough. Unfortunately, such claims are often a defence (or denial) of suffering from overwork. Because for all the inspiration athletes can offer us, few of us find as much purpose in our pain, choose it, and have the discipline to work with it as productively as they do. Why? First, we seldom seek to understand and work on our limits as seriously as athletes do. There is a vast difference between the resources of a Paula Radcliffe and those of you and I. Genes, guts, and training took her where she got. You and I are no Radcliffe even if we enjoy running—and no Musk even if we do business. Trying to emulate their routines is a recipe for disillusionment at best, and injury at worst. Second, endurance athletes have a respect for pace that is absent in most businesses. They carefully plan seasons, weeks, training sessions, and races. They alternate heavier and lighter workloads, stress and rest, so as to peak at a specific time. In most businesses, we seldom value pace. If you run fast today, you’re asked to run faster tomorrow, and so on. We know that resting, at least once in a while, will make us healthier and more productive…but we choose to keep going.